I’m delighted to share a wonderfully written guest review of Live and Learn Italian this month, resplendent with added tales from further Italian exploration by Jenny Matthew. 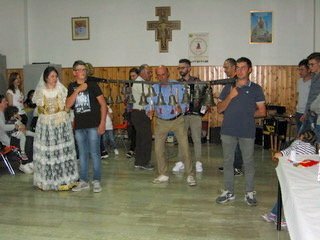 Many guests find incorporating 2 weeks with us in Agnone as a great way to hone conversational skills and practise with encouraging locals as part if their wider ‘avventura in Italia’. “Whatever you can do, or dream you can, begin it! Boldness has genius, magic and power in it. Begin it now.” Goethe. As the train neared Tiburtina station I went to retrieve my case - but it had vanished! A little alarmed, I turned to the two young Italians whom I had asked to guard it, and Francesco directed me to a different luggage rack. Relieved, I thanked him, and he then asked me where I was going. Five minutes later, we were still talking; about where I had been – Arezzo to see the frescoes of Piero Della Francesca - and where I was going – Agnone, to improve my Italian. By the end of 2018 I had spent two months in Italy, discovering new cities, returning to people and places, seeing art, architecture, and sculpture, and gaining knowledge about the history of Italy. But even more memorable were the many enjoyable chance encounters: on the train with Francesco and Sandro – Maria, other students, and their art teacher in Bologna who told me their favourite places in the city which I was able to visit – Chiara, a teacher in Arezzo who invited me in to the grand palazzo to see her apartment - Ludovico, a Surrealist painter - Robin, a writer in Venice, with whom I drank prosecco - and finally Vera on my flight back from Genoa. She was reading Anthony Trollope in Italian, so obviously I had to talk to her! 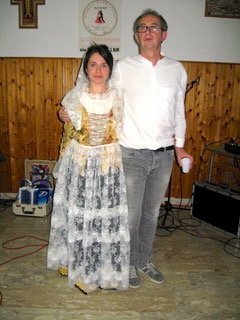 Goethe, Jenifer Landor and i miei amici di ‘Live and Learn Italian’ ad Agnone! 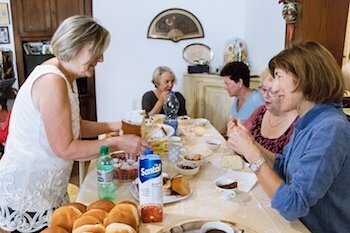 When I started learning Italian I “dreamed” (as per Goethe’s quote) of being sufficiently fluent to be able to talk to whomsoever I met, wherever I met them. This level of fluency and confidence has taken much longer than I originally thought to achieve, and I credit Jenifer Landor’s Live And Learn Italian programme in Agnone for having contributed significantly to my success. Learning in small groups and going out immediately afterwards to practice in authentic situations has no equal, especially if, like me, you start learning in later life. 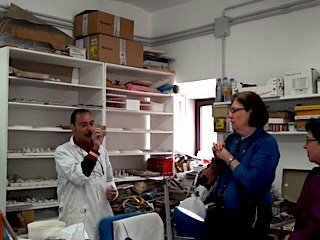 I also have a delightful store of special memories of Agnone and the people I have met there, but unfortunately there is not enough space to tell you more. Come and join me this year when I go back to Agnone again! **PS: The meaning of “Un altro paio di maniche”, now that’s quite another matter. 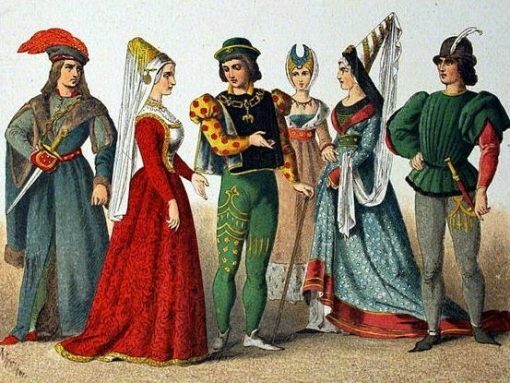 In the 1400s, a woman of high birth would order an extra pair of sleeves for a new outfit so that she could change the sleeves for a completely different look. And the expression developed further fascinating meanings over time, including a romantic commitment to engagement, and the the Italian word for ‘tip’! 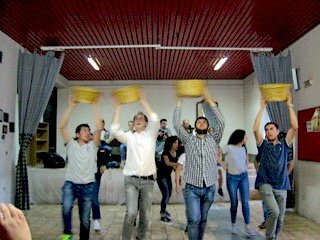 Live and Learn Italian offers you study with qualified teachers, while living and engaging with a small community. For more information, sign up to the newsletter below, drop us a line via the secure form, or tap here to email me. The Live and Learn Italian immersion ‘experience’ was created completely organically, and continues to grow organically. Each year I discover new local characters and regional opportunities, and so the programme develops. It’s a language and culture programme designed to help participants gain fluency, get lots of practise using what they kind of know, and to learn useful modi di dire. Getting out and about, communicating, losing inhibitions – that’s our focus. How do you imagine your Italian-language vacation? Dodging cars and busses in a big city, or strolling the lanes of a picturesque hill town? 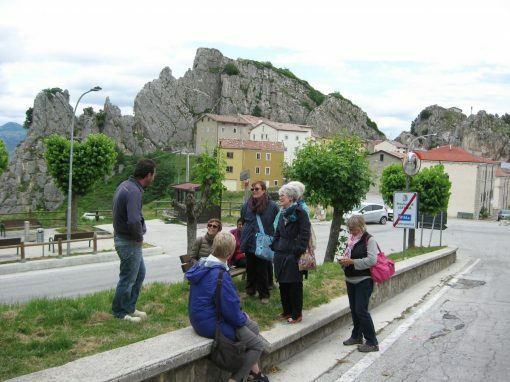 Elbow to elbow with tour groups and commuters, or enjoying the vista of a peaceful, ancient valley? Brief words with waiters and shopkeepers, or long conversations with local residents? 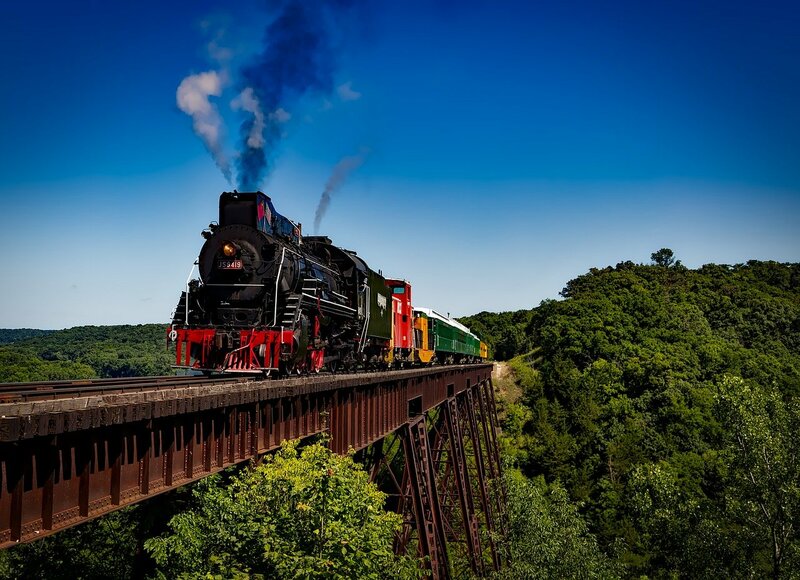 Making only memories - or friends, too? Live and Learn Italian looked great online, and after some deliberation, I went for it. 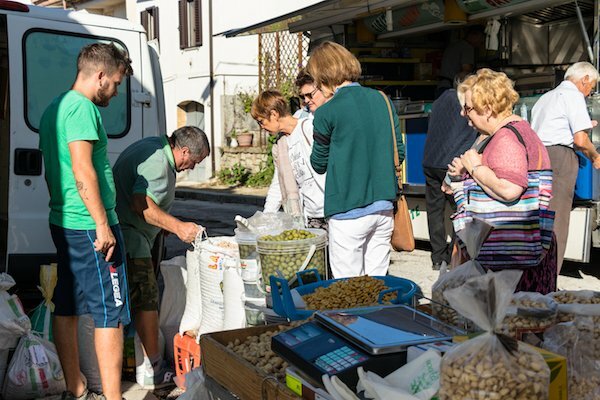 2 weeks in a town where no one speaks English struck me as a great idea; ancient ruins, farm and vineyard tours, pasta making, festivals… a bell foundry - artisanal bakers, cheese-makers, and candy-makers, too. I’ve travelled all over Italy, but I’d never heard of Agnone, in the region of Molise. Not surprising. 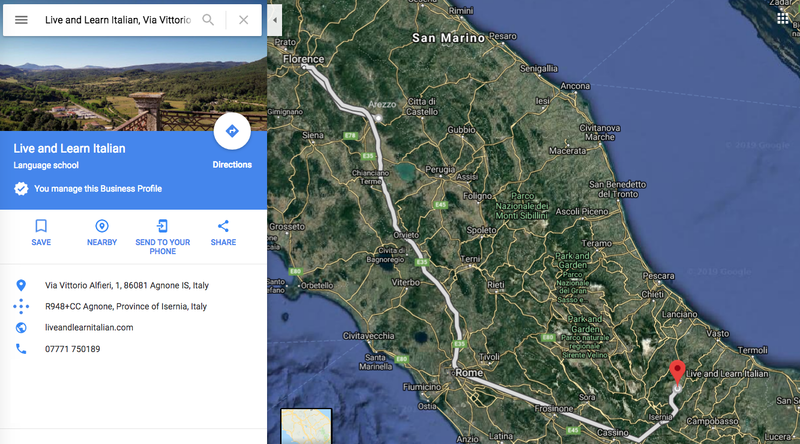 Even some Italians have only the foggiest idea of its location, and there’s a joke going around that claims “il Molise non esiste…” Not true. Molise not only exists, it was once a vital centre of commerce, overflowing with coppersmiths, goldsmiths, and ironworkers. Renowned for its artistic past during the time of the Bourbon kings, its history is reflected in the many Baroque churches. 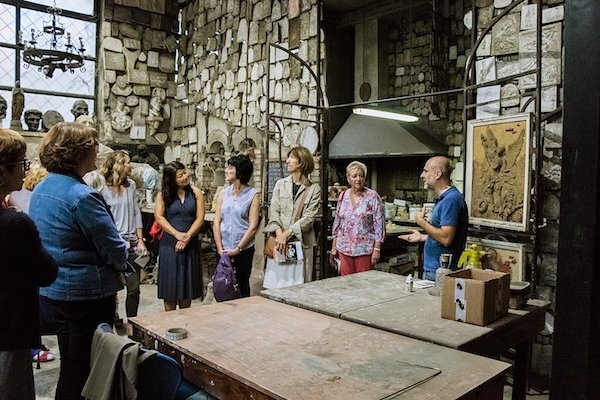 Home to Italy’s oldest bell foundry, since AD 1040, you can step even further back in time, and find the pre-Roman Samnites, a populous tribe who left behind some truly impressive ruins. It’s not easy to get to, but it’s worth the effort. 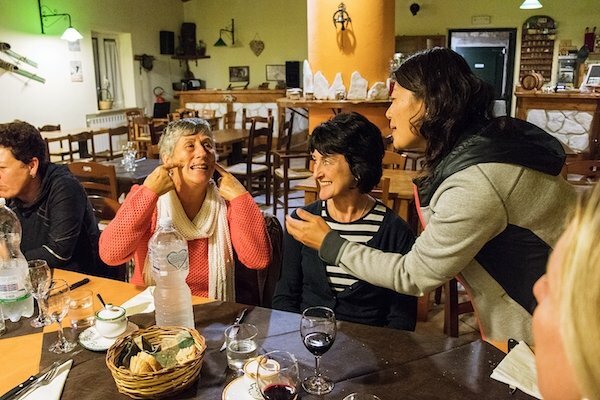 The Live and Learn Italian family starts with Londoner Jenifer Landor, whose ancestors hailed from Agnone, and continues with her delightful collection of teachers, guides, and residents - providing a stellar experience for participants. Everyone lends time and patience to helping students improve their Italian language skills, in and out of the classroom. Our group was small, and my fellow Italy-lovers an adventurous bunch; from the US, UK, and Canada, via birthplaces as diverse as Ireland, South Korea, and Syria. 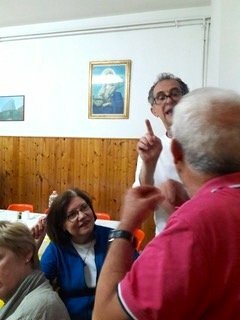 Our daily schedule went like this: wake up to the sound of church bells, then breakfast accompanied by conversation - in Italian! - with B&B hosts. Maybe stop by the shops for lunch items (we had use of our B&B kitchen), or order a panini and/or salad at a coffee bar. From 10:00 to 1:30, we attended fantastic Italian classes in an old monastery, with qualified native-speakers, then, for the remainder of the day, and on weekends, the schedule varied: a visit to a local specialist shop, a food artisan, or museum, a tour or lecture, maybe a festival or play, or pasta-making in a local home. 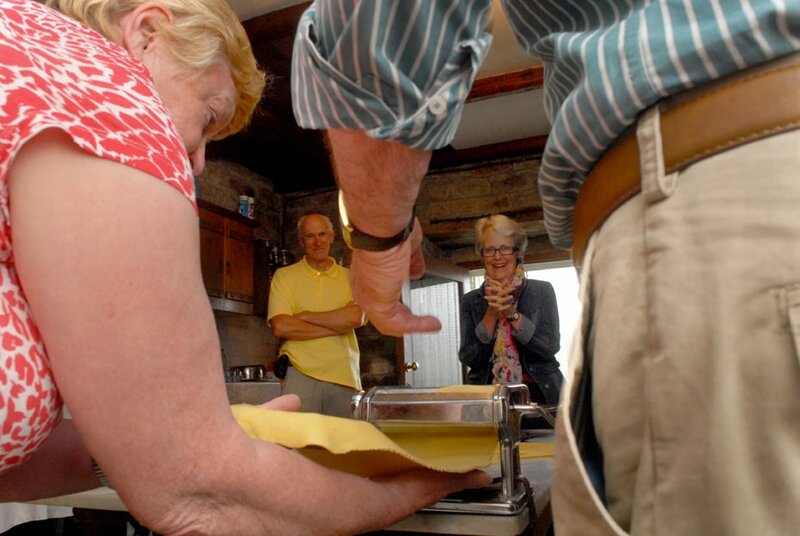 Students, local guides and hosts dined together in the evening, sometimes at restaurants, other times in private homes. Meals often stretched to three hours, accompanied by excellent wine and conversation - in Italian, of course. After two weeks, I was thinking and dreaming in Italian, and my conversation and comprehension improved immensely. 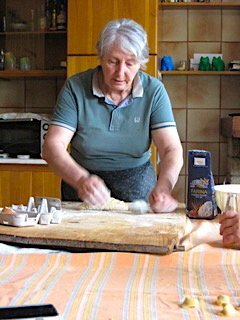 I learned about all kinds of other things too: bi-yearly shepherd migration, organic farming and winemaking, the secret to perfect pasta from scratch, and how to make a church bell - to name a few. Even more rewarding were the people I encountered. When the program came to an end, I was sad to leave. Now I’m enjoying connecting with my new friends on Facebook and Instagram. If Live and Learn Italian sounds like an experience you’d enjoy, “mi raccomando” (I’m telling you) - don’t hesitate! Do it! It’s only been a month and I’m already dreaming of going back. Joy Nash is an architect and second generation Italian-American with a love of travel, writing, and the Italian language. Read her free short fiction at flashbynash.com or follow her wanderings on Instagram @joys_by_joy.